Remember that iconic moment in Ferris Bueller’s Day Off? That one where the Teacher (a monotone Ben Stein) repeats the names on roll call over and over again? “Bueller? Bueller? Bueller?” Right there we know what that class is in for. We all had that teacher. We know that teacher. That’s what makes it so funny. Of course, stunned/angry/most likely to cry frustrated kittens girl doesn’t hurt anything! That one scene epitomizes what many of us think and know and fear when we hear the word teacher. Throw in football coaches and it’s a full on panic-palooza! But I digress. We all know what it’s like to sit in a class where the second hand moves at the speed of ice melting in December. We have lived through Sunday Schools that felt like time prisons and sermons that mirrored life sentences. I’m being dramatic, I know, but you know what I’m saying. It doesn’t have to be this way! 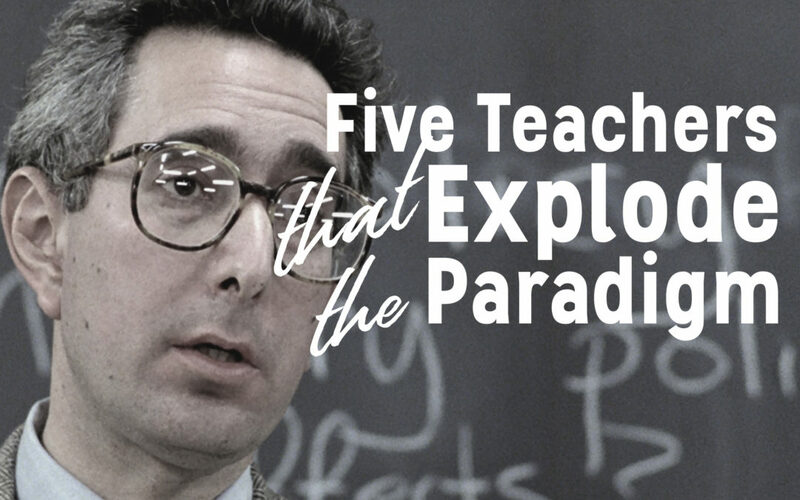 When the Apostle Paul says “Teacher,” nothing could be further from Ben Stein archetype. The Church is worth more than monotone roll call (So is public school, BTW). SO much more. When Paul says “Teacher” in his letters, he is most definitely not thinking of a professor in bow tie. He’s imagining disciples and a Rabbi. He isn’t taking names in class. Paul lived the faith as fast as his students could learn it by his example; showing them the nuances of Torah on its feet and Grace in its proper place. A truly Fast and Furious education system. Paul was a master of his content. He didn’t need to whiteboard it. He just did it. And church exploded. This post is all about Teachers. Yes, I’ve spent a little time on teachers in the past (like here and here), but apparently I’m not going to stop. I want to provide five paradigms of teachers that challenge the way we think of teaching by adding a personality, a shade of APEST to them. You won’t find any one model teaching in a classroom, as I’ve pushed back on in this post. Others are visual learners. They will read a book on painting, check out a catalogue of colors, watch some youtube videos, get cable so they can binge HGTV. That kind of thing. Still others are kinetic learners. These learners go to Home Depot before they even know which room they are going to paint. They strike, fail, retreat then strike again. After 27 trips to Home Depot, that room is painted and looking good! Sure the visual learner was finished a week earlier, but this kind of learner has painting in their bones now. It’s not knowledge. It’s a skill. Great teaching engages visual and audial learners while they are busy kinetic-ing. It’s a hybrid of the three. Look at Jesus. He spoke, he read, he used illustrations and talked about agriculture. He also walked and boated. He healed and prayed, modeling everything he intended his disciples (even you and I) to do. Sure we can learn about the ways of Jesus by reading and listening, but we live the ways of Jesus when we leave the classroom and actually do them. So let’s look at those paradigms: The Crisis Creator, The Passion Igniter, The Truth Excavator, The Modeling Master and the Memory Maker. 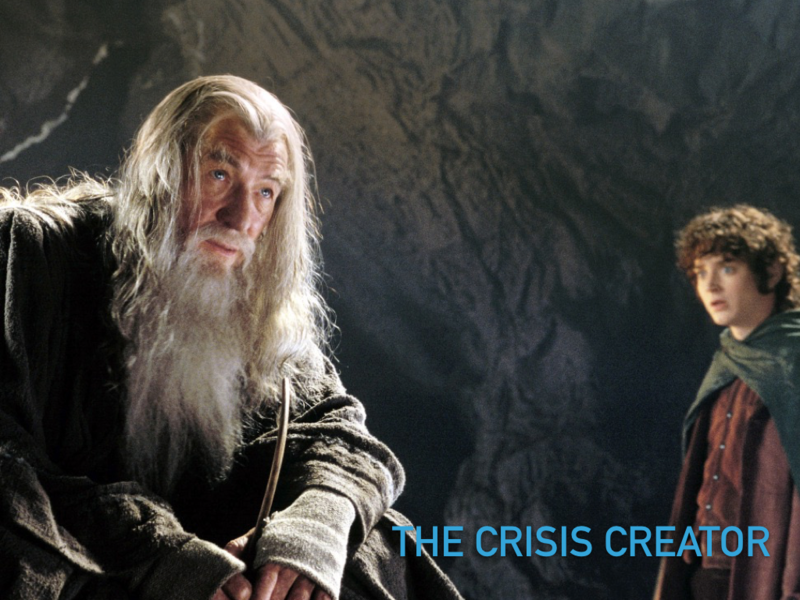 Gandalf is the epic Crisis Creator. His teaching style is roughly to give the Fellowship enough instruction to get them in trouble. The downside is that they don’t have enough information to succeed. The upside is that they do. They take everything that they have done and seen, learned and experienced up to the point and use it to grow through the next challenge. This is a powerful form of teaching. Nothing helps you learn like a crisis. If there weren’t crises, you would never have learned that you can memorize the twenty Spanish vocabulary words on the quiz you forgot about in 5 minutes. If you track with APEST/5Q, Gandalf’s base and phase is S/T. He’s motivated to care for the Fellowship. He loves them. He’s all in with them. He believes in them, and that is why he can lead them and then leave them. Shepherds allow their sheep to wander, to be who they are, tapping a little now and then to keep them from the wrong side of the cliff. The Crisis Creator teaches with love at the center. Love creates trust. When someone trusts us we know they believe in us, so we step to perform at our best. Especially when there’s an army of Orcs bearing down to consume our flesh and destroy the world as it’s been known. What is base and phase? 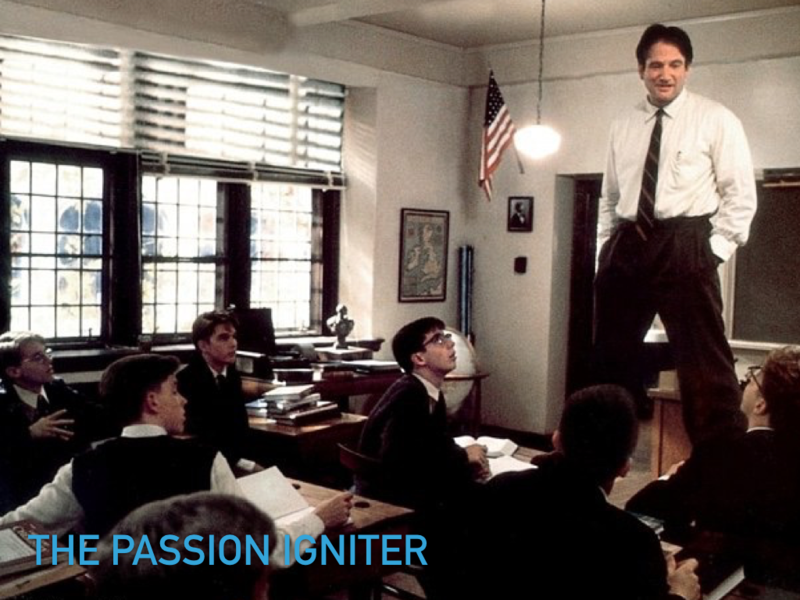 The Passion Igniter is the kind of teacher that inspires you be more than you ever imagined you could be. Granted, it’s a slippery illustration, but Robin William’s character in the Dead Poet’s Society is my favorite. Hands down. John Keating still inspires me to this day. The Passion Igniter helps you see things in ways that you never have before. They challenge you to be what you never imagined possible, simply because it’s the poetic thing to do. The Passion Igniter boils down words into a question that explodes your whole world. They walk a tight rope when they teach – creating dramatic tension in their silences. John Keating’s base and phase is the T/A. He exists to empty his heart into the minds of his students, not for indulgence, though. It’s all about awakening them to their dreams. He’s the Dream Awakener (to drill down on JR Woodard’s paradigms). The T/A doesn’t just ask, “What verse will you write?” They actually expect an answer paid out over a long life. As I explored in more depth here, I truly believe that a Teacher’s job is to empty the classroom and fill the fields to do the work of discovery. 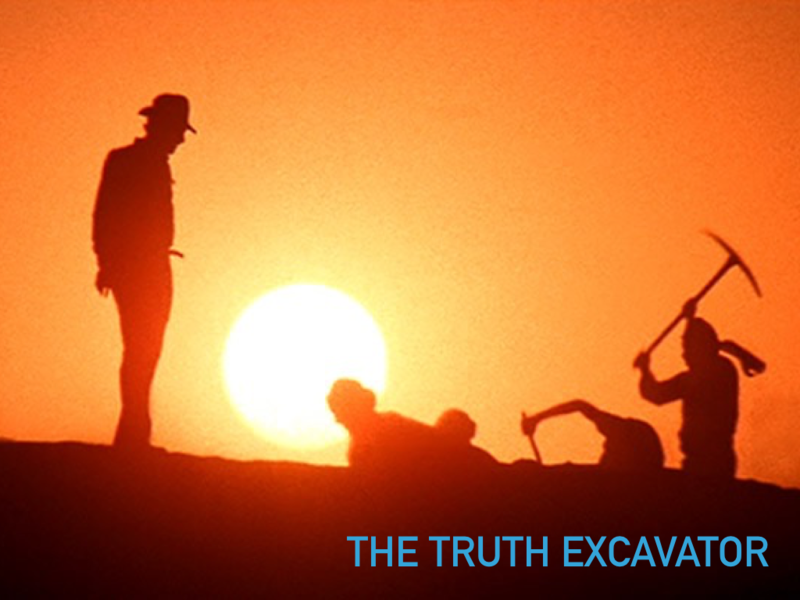 Teachers with a bent toward archeology help their students dig, not just into books, but into soil, into people, into contexts, into cultures, languages, economies, disciplines. Sure, he studies, but the study is to equip the journey. You can’t walk JEHOVA if you don’t know Latin! Know what I’m talking ’bout? We need more Indiana Joneses. If you’ll remember, Indy did teach in a classroom, but that wasn’t his jam. He was all about exposing the world to great history by becoming first, a part of it, and second, a liberator of it. His passion was going into the dark places where secrets live and dragging them out into the light for everyone to see and enjoy. “It should be in a museum!” The truth excavator shouts. Their base and phase is E/T. They want to bring darkness to light for the sake of the world. They want to share the past with the present for the sake of the future. One of the greatest moments in the Karate Kid is the scene where Mr. Miyagi gets completely drunk as he mourns that suffering of his past – in front of Daniel-san. The Mentoring Master shares their life with their pupil. Of course, you don’t have to get drunk to share your life, hopefully, but you get my point. The Mentoring Master doesn’t withhold their darkness from the people they are called to share the light with. 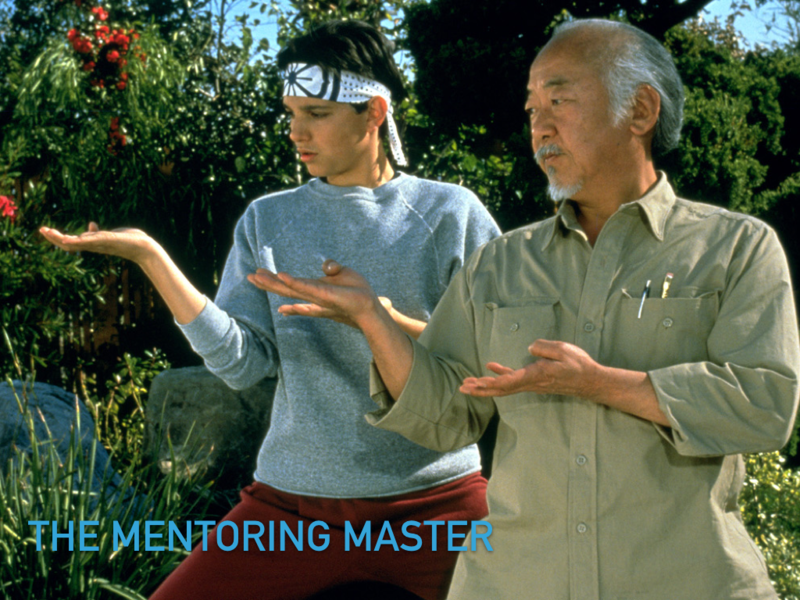 Mr. Miyagi has master his art and the only way to teach it is to bring the student in his home, his life, his classic truck and just…be open. Who the Mentoring Master is is just as important as what they have to teach. This is the closest to the Jesus model teacher, the Rabbi. The Mentoring Master takes a student on and teaches as they live. Every meal is a lesson and every moment is an exam. It’s about shaping character that can accomplish the task. The whole person is being taught all at once. Church, we need a million Miyagi’s. You feel me? The Mentoring Master’s base and phase is T/S. They are a life sharing, courage and confidence builder. Community is the classroom and life is the lesson. Oh, and karate, too…sometimes. 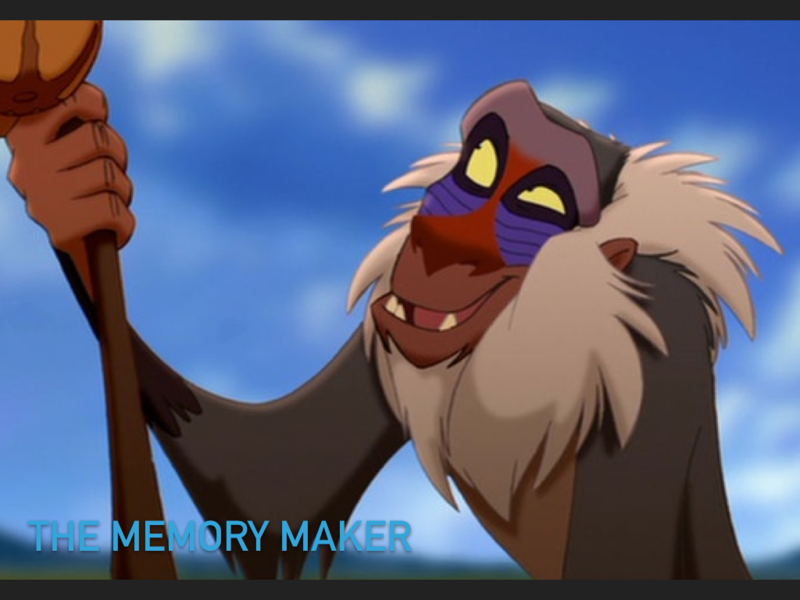 Rafiki is the Memory Maker. Beyond being goofy and hard to follow (literally), he has a mission: To remind you who you are. We need more teachers that are focused on helping us shape our Christian identity. We need to be around teachers who know the Father (metaphorically and literally) so that they can remind us that we are children of the Father when we forget. The Memory Maker doesn’t fill us with academia. Instead, we develop an active Table of Contents of moments where we re-discovered who we truly are and whose image we bear. There may be no more important teacher than this one. Rafiki’s base and phase is P/T. His first connection is vertical. The Memory Maker surfs the horizontal, causing us to remember who made the waves and where their power comes from. They are mysterious and majestic, profound and perturbing. They get under our skin and invite us to follow, showing us what we are made of. Better yet, who we are made of. If you have a paradigm to share, something that helps to explode the teacher paradigm, please share it in the comments. This post is first pitch. Step up to the plate and take a swing. How did this post get you thinking about teachers? Which of the above paradigms speaks most to you? Why?